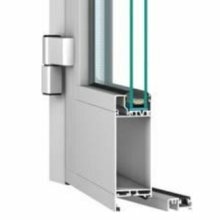 The TUR-PLAST company manufactures aluminium doors based on three sorts of profiles from the Aliplast company. 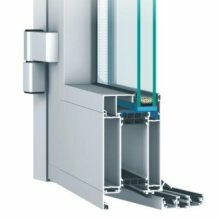 These profiles featured advantages include excellent stiffness, high quality coatings and modern design. This series of high quality profiles with thermal break is suitable where more demanding standards of acoustic and thermal insulation are required. 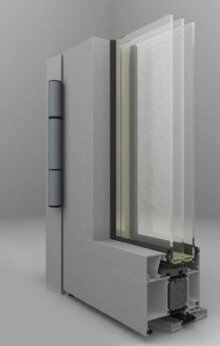 The profiles for this series are constructed of 2 hollow extrusions separated from one another by polyamide strips PA 6.6.25 reinforced with glass fibre. 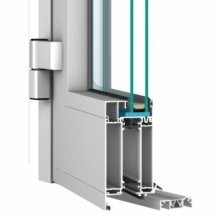 Doors system without thermal isolation.